Mystery surrounds a spoof tourist brochure for a non-existent island which has appeared at a number of sites around Orkney, scotland. The colour brochure is professionally produced and looks like a genuine guide to one of Orkney's North Isles. 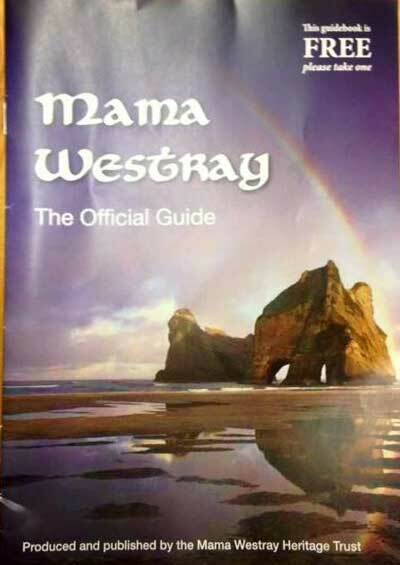 But it features attractions that aren't there, on an island called Mama Westray that doesn't even exist. Attractions include fish-eating pigs, The Tropical Gardens of Nether Biggings and "the world-famous Tomb of the Haddock". Other "must-see" sites and attractions are said to be the Hall of McFlummery and an annual Ratsmack event. It also says that actress Cate Blanchett is a regular visitor and keeps a pedal car in the garage airport. 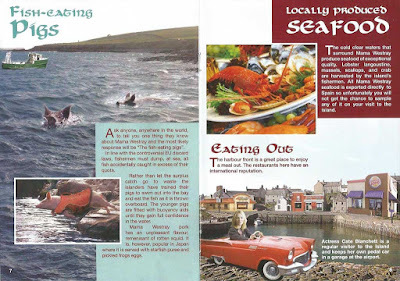 There is concern among some locals on the real island of Papa Westray that the brochure could cause some confusion with existing promotional material.